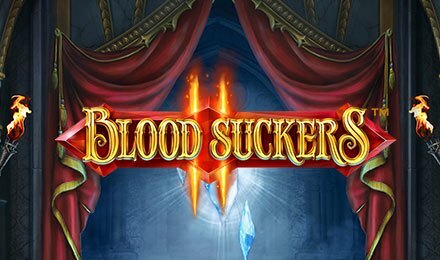 Read about the spooky themed Blood Suckers 2 Slots and try its different features such as Wilds, Free Spins and Bonuses to win big now! Dare to step inside the Vampire Castle and assist the gorgeous Amilia to avenge the death of her ancestors on Blood Suckers 2 Slots! If you are successful in finding your way inside this castle, Amelia will shower you with great riches! Developed by NetEnt, this game comes with 5 reels and 25 paylines and it is a sequel to the popular Blood Suckers Slot. Take up this mission now and find some fantastic features such as Wilds, Free Spins Bonus, a Hidden Treasure Bonus, and another two randomly initiated bonuses!